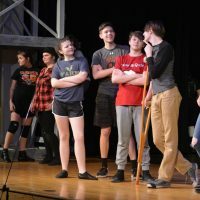 WEST LAFAYETTE – Ridgewood Performing Arts students are taking you back to 1899 and the real-life newsboy strike. 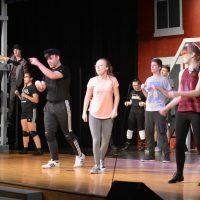 “Newsies” will be performed at 7:30 p.m. Friday and Saturday, April 5-6 and at 2:30 p.m. Sunday, April 7 in the auditorium at Ridgewood High School. 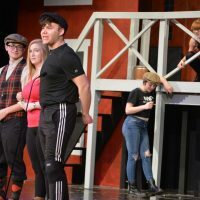 The Disney musical tells the story of Jack Kelly, a rebellious newsboy who dreams of a life as an artist away from the big city. After publishing giant Joseph Pulitzer raises newspaper prices at the newsboys’ expense, Kelly and his fellow newsies take action. He is one of 70 students taking part in the play. Sixty-eight of them appear on stage. 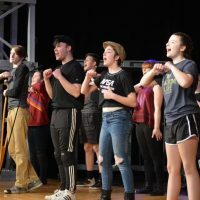 Senior Hope Asbury has been in musicals at the school since eighth grade. 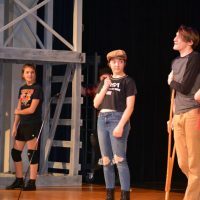 “I really enjoy performing and the relationship you build with the cast,” she said. 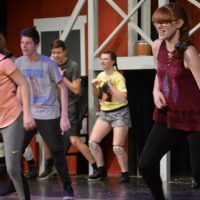 Waverly Reidenbach really likes the dance routines that are part of this musical. 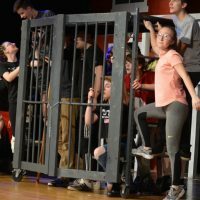 “They are the most challenging, physically and mentally, of any high school production I’ve been in,” she said. Senior Aliyah Guthrie agreed that the dance routines have been challenging, but she’s stayed committed to improving. 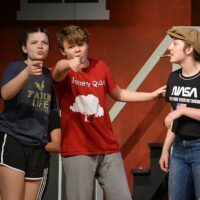 What Guthrie has enjoyed the most about the play is its music. 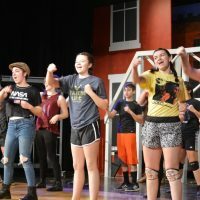 “It can be classic and slow and then really hard,” Guthrie said. 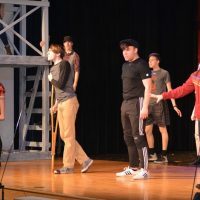 Evans said the students know the songs from front to back and have been listening to them while working on other projects for the play. “They are very powerful and inspiring songs,” she said. 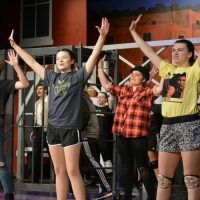 “It’s nonstop with the scenes,” said Jill Collins, director. This is Hochstetler’s first play at Ridgewood. 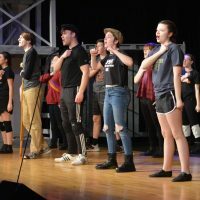 Tickets for “Newsies” are $10 for students and adults. 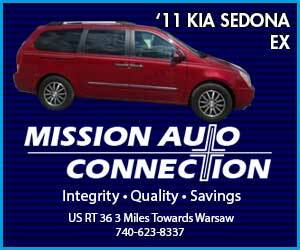 For pre-sale tickets call 740-545-6345 or e-mail [email protected]. Tickets also will be sold at the door. 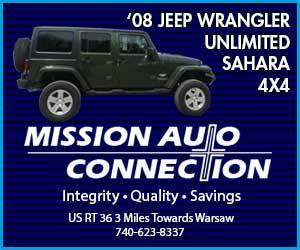 I started my journalism career in 2002 with a daily newspaper chain. After various stops with them, I am happy to be back home! 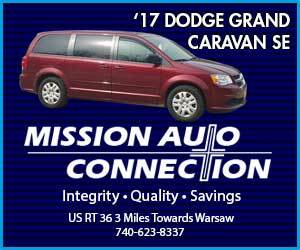 I graduated from Coshocton High School in 1998 and received a Bachelor of Arts in Communication in 2002 from Walsh University. I also earned several awards while working for daily papers, including being honored by Coshocton County’s veterans for the stories I wrote about them. 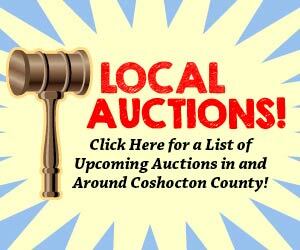 I am honored and ready to once again shine a positive light on Coshocton County. I also am the proud mother of a little girl named Sophia!